The Secwepemc Nation currently consists of 17 Bands of which five are located in the Cariboo region of British Columbia, and describe themselves as Northern Secwepemc. They are Tsq’escen (Canim Lake), Stswecem’c Xgat’tem (Canoe Creek), Esk’etemc (Alkali Lake), Xat’sull (Soda Creek) and T’exec (Williams Lake). All five were among the founding members of the Northern Secwepemc Cultural Society when it was incorporated in July 2006, and have maintained active membership ever since. Each of those five Bands is represented on the Society by two appointees each of whom is entitled to one vote, and are joined by two non-voting representatives of the 100 Mile House & District Historical Society. A board of six directors is comprised of one member from each of the six constituent bodies, but has met infrequently on account of the fact that almost all business is conducted by the full membership. The current officers and directors are listed on each page of this website. to gather and preserve information, records and objects of educational, historical and cultural value associated with the participating Indian Bands, and without limiting the generality of the foregoing. to establish and maintain a museum for the purpose of preserving, recording and exhibiting such materials for the education and enjoyment of the general public and for the general benefit of the members of the participating Indian Bands. 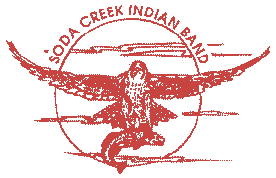 In a nutshell, the five Bands were in early 2003 invited by the 100 Mile House & District Historical Society to consider participating with that society in an effort to incorporate First Nations history and culture into its site at the 108 Mile Lake in some unspecified way, and three of the Bands immediately agreed to work with the Historical Society towards that end. From early 2004 until July 2006, acting informally but with approval in principle from the three Band Councils, a small group of representatives decided that a proposed site at the 108 Mile Lake was appropriate and suitable as the location for a cultural centre and small museum, and carried out preliminary work by way of a topographic survey and an archaeological assessment of the site. 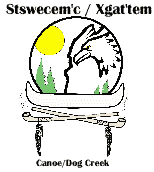 By 2006 the remaining two Bands had joined the group and in July of that year the Northern Secwepemc Cultural Society was incorporated. Since then the Society has acquired a suitable piece of land on a 99-year lease basis, and has commissioned a further topographic survey, an environmental site assessment, a major feasibility study, a comprehensive business plan and, successive reports from its architects, namely a conceptual design, a design develop report and finally the construction documents required in order to go to tender for the actual construction of a 5,145 square foot building. In 2018 the Society obtained the funding that enabled it to commission an outstanding exhibit design consulting team to start working with its five member Bands on the task of identifying the stories, objects and programs that they wish to share with visitors in the proposed new Centre once it opens. A final report containing a roadmap for the preparation of those exhibits was received in April 2019 and was shared with the Society’s member communities at the end of June 2019. A more detailed account of the Society’s efforts is set out on the page entitled The Project. Before leaving this page, however, we wish to acknowledge with sincere gratitude the sources of funding that have enabled the Society to reach the stage at which it is possible to visualize success in its efforts. They are in the chronological order in which the grants were received: the five participating Bands, the Northern Development Initiative Trust, the Cariboo Regional District, the Union of B.C. Municipalities, the Department of Canadian Heritage, Western Economic Diversification Canada, Indigenous and Northern Affairs Canada, New Pathways to Gold Society, Cariboo-Chilcotin Beetle Action Coalition and B.C. Rural Dividend Fund. Having received the exhibit design roadmap report, the Society is poised to commence a serious search for the funding that will be required in order to construct its Centre and to support its anticipated annual operating deficit. In anticipation of that, the Society will simultaneously be commencing a search for Band members interested in the position of Centre Director. In that regard the UBC Museum of Anthropology has offered its assistance in the matter of training such individuals. We take this opportunity to express our thanks very publicly to numerous individuals and groups that have supported our Society throughout the past almost 11 years, all of whom have helped us reach the important milestone we are celebrating today. View of the site, looking south along Highway 97.